In November of 1832 Darwin was on Chiloé, but he could see off to the northeast a sight: “26th.—The day rose splendidly clear. The volcano of Orsono was spouting out volumes of smoke. 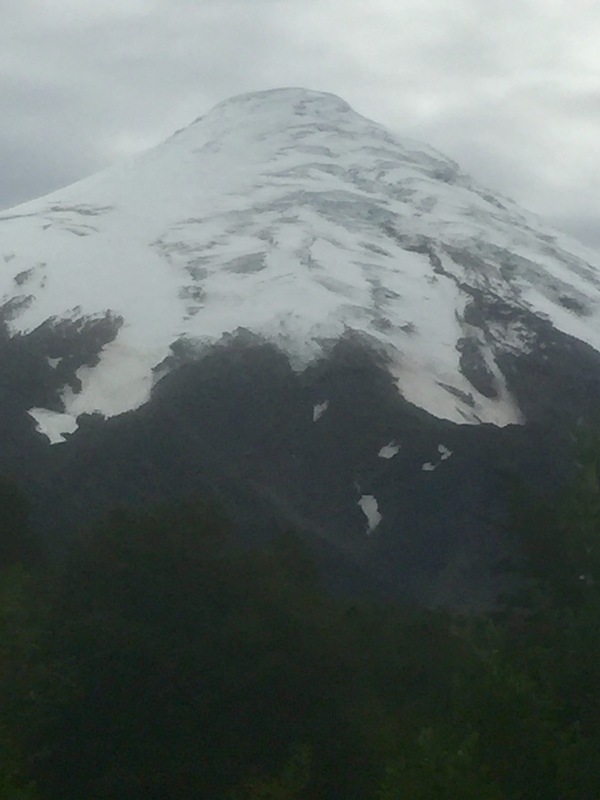 This most beautiful mountain, formed like a perfect cone, and white with snow, stands out in front of the Cordillera.” He was not witnessing an eruption from that perfect cone, but instead a heavy gas vent on the mountain’s shoulder. 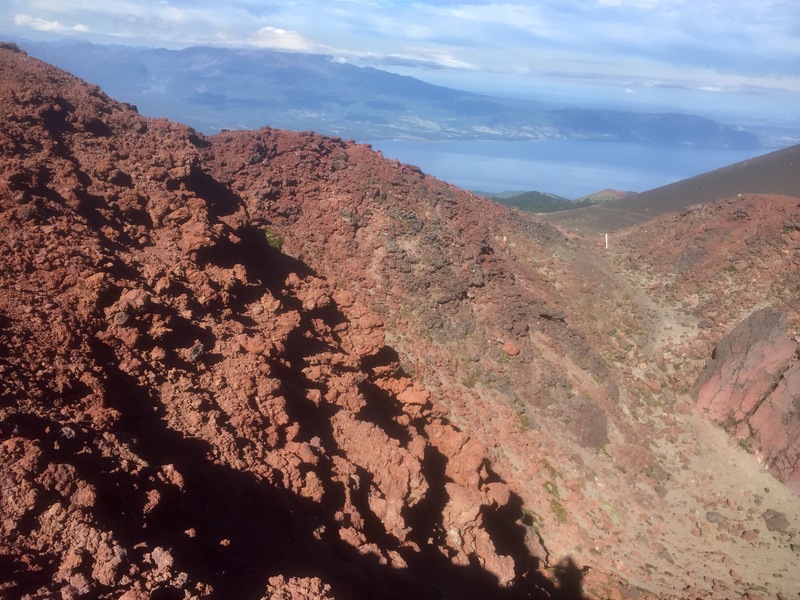 Walking up from the ski area (closed now as it is the first day of fall) the trail drifts to the east and soon the red crater appears. Not large, but clearly recent (in geological time) this semi-circular hole spewed gas and steam 186 years ago, a plume visible all the way to Chiloé— not surprising as today I could see the Pacific while standing near the crater. Volcanos on the Pacific coast were a particular attraction to both Darwin and Humboldt, the latter climbing a number of them. They do tend to form almost comically perfect cones in this part of the world.